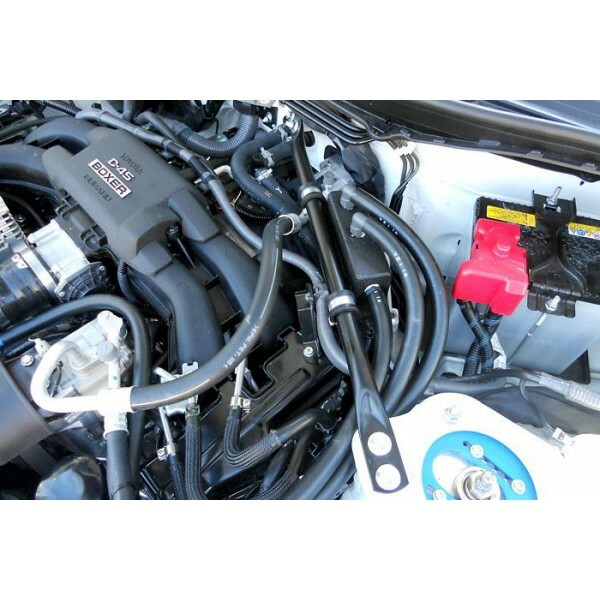 Boost and high RPM's increase the amount of crank-case blow-by causing problems for the stock engine breathing system as it very quickly becomes overloaded. This can lead to oil being blown into the air-intake, increasing the possibility of detonation due to oil entering the combustion chambers. 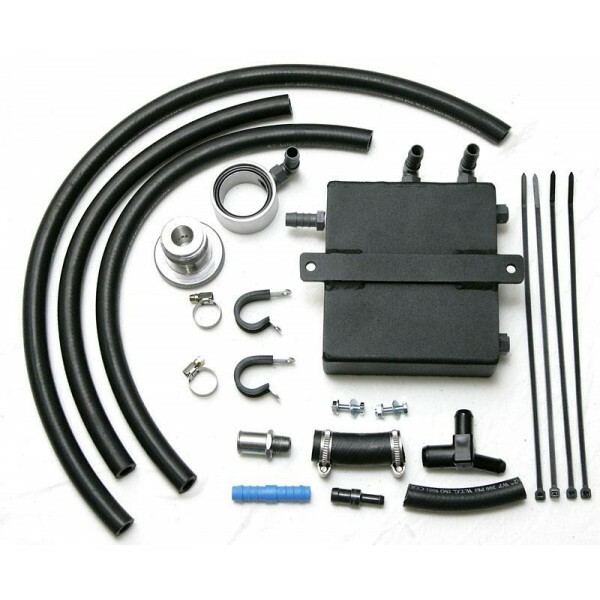 This can be solved by fitting AVO's oil/vapour separator tank kit, which removes oil mist from crankcase gas before it is returned back to the engines air-intake. 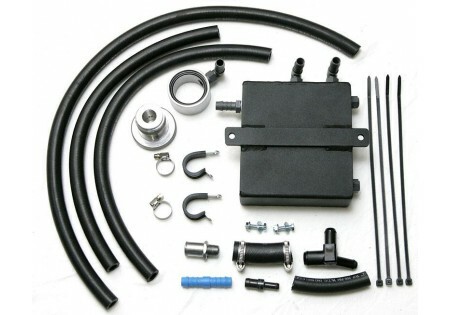 The Breather Tank kit comes with all fittings and accessories necessary, including a turbo-specific high pressure PCV valve replacement that will deal with any potentionl boost leaks and protect against pressurizing the crankcase under boost. This is also a requirement for higher boost builds.